Mr Bhavesh Rawal, EAM & Director F&B Service of J.W. 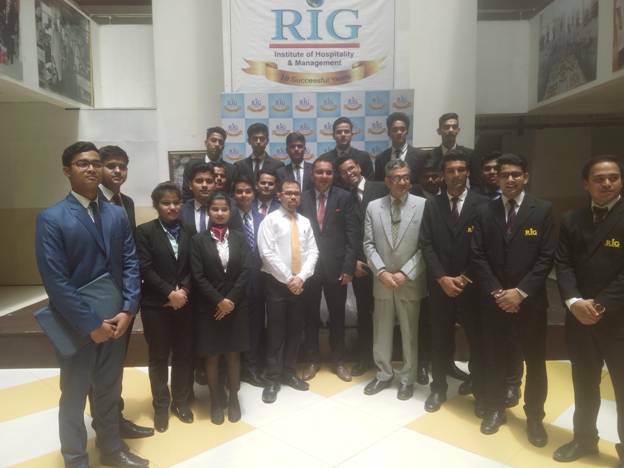 Marriott, Dubai visited RIG for recruitment of interns. Eighteen students have been selected for Food & Beverage Service Department. They have joined the Dubai property this week. Nine students ahd earlier gone to the same property. Another four students are training at Park Hyatt, Dubai.